Cortisone is a steroid that is injected into an area of the body (usually a joint) to relieve pain and inflammation. Cortisone is used to treat the pain associated with a variety of soft tissue injuries and conditions, such as Tennis Elbow, Carpal Tunnel Syndrome, Plantar Fasciitis, Rotator Cuff Injuries, and many more. Cortisone shots are made up of two things - a corticosteroid and a local anesthetic. Due to the potential risks, you shouldn't have more than 3-4 cortisone injections into a given joint in a year. You should also wait at least 6 weeks between cortisone shots. Cortisone injections are intended to temporarily relieve pain and inflammation. They don't do anything to treat the underlying injury or condition causing the pain and inflammation. All cortisone does is mask the pain, causing you to feel a false sense of ability that will likely lead to re-injury and a worsened condition. When you mask the pain, you get rid of the reminder that you're actually injured. When the reminder is gone, you feel well enough to be physically active again, when you should still be resting your injury. This is very dangerous and only leads to all of your healing being undone. Most people find that following a cortisone shot, their pain and inflammation is worse for a few days before the cortisone actually kicks in. 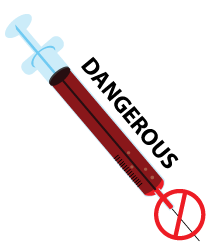 If you have diabetes, an injection of cortisone will make your blood sugar go up for several days afterwards. Several studies (which have been published on the NCBI website through PubMed) have found that cortisone injections can actually lead to chronic re-injury and deterioration of the tissue, meaning a worsened condition and a much longer recovery time. This often causes complete rendon rupture, forcing the patient to resort to surgery. Pain and inflammation can be relieved quickly and completely, without dangerous and invasive injections. ColdCure® devices use cold and compression to safely and effectively the relieve pain, swelling and inflammation associated with soft tissue injuries and chronic conditions. They were developed as a safe alternative to ice packs (which can freeze the skin) and cortisone injections. ColdCure® Wraps come with 3 swappable cold packs. You use one inside the wrap at a time, keeping the other two in the fridge or the freezer so you can keep swapping them out to keep your cold therapy going. When you put the ColdCure® Wrap on, you will instantly feel relief and relaxation as it soothes the pain of your injury. ColdCure® gel packs contain 10x more gel per lb than other products. This means complete coverage of the entire injured area. Despite their size, our gel packs are never bulky, so your treatments are always comfortable. When stored in the freezer, our gel packs have 3x more cooling power per lb than other products. This means faster relief of pain and swelling. It also means you won't have to get up and swap the gel packs as often. ColdCure® gel packs contain our unique XC RigiGel® formula. XC RigiGel® is both firm yet flexible, unlike other gels that are watery and mushy. This means it conforms to your injury without flowing away. It won't move away from your injury, even under heavy pressure for long periods of time. This is a huge improvement on regular cold packs. Relieving the swelling and inflammation is the first step towards healing, but it won't heal the injury itself. If you want to repair your damaged tissue and get back to your regular activities, you need Blood Flow Stimulation Therapy® (BFST®). BFST® Wraps bring nutrient-rich, oxygenated blood to your injury. This increase in blood flow works to actively heal your damaged tissues. Blood flow is the most critical element in rapid recovery. Unfortunately, an injury at rest often has very limited blood flow. While physical activity stimulates blood flow, it can also lead to re-injury and a lengthened recovery time. BFST® Wraps are the solution to this problem. They're designed to speed up the healing process while you're at rest. This means you're getting the additional blood flow your tissue needs to heal while avoiding re-injury at the same time. The purchase of every ColdCure® and BFST® Wrap comes with the free professional consulting services of our King Brand® Advisors. This is a huge benefit in terms of your treatments and overall recovery. Our Advisors are extremely knowledgeable when it comes to different injuries and conditions. They're also trained extensively on BFST® and ColdCure® technology and treatments. One of our Advisors will contact you 2 or 3 days after your order has been delivered to see how your treatments are going and answer any questions you may have. They can even help you create a treatment plan that is tailored to your specific needs. Our Advisors are here to help you through every stage of your recovery. 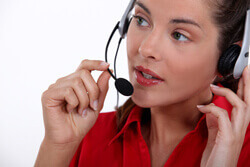 While we will follow up with you directly, you are welcome to contact us any time. Your recovery is very important to us. Note from KB WebMaster - The text below is primarily intended to assist with Google properly classifying this page content. To learn more about our products please visit our website.<br>Cortisone shots or cortisone injections are designed to relieve pain and inflammation in joints. Cortisone is a steriod. Cortisone shots are used to relieve pain and inflammation associated with soft tissue injuries and conditions such as Plantar Fasciitis, Carpal Tunnel Syndrome, Tennis Elbow, Rotator Cuff Injuries, etc. Cortisone doesn't address the actual condition, it just masks the pain. This only makes your condition worse. There are many negative side effects and serious risks associated with cortisone injections. These include bone death, skin discoloration, allergic reactions, tendon rupture, infection, etc. You don't need dangerous and invasive cortisone injections to get rid of pain and inflammation. ColdCure is a safe, effective alternative. 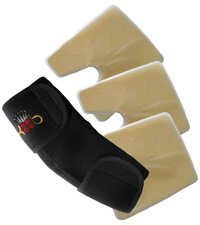 ColdCure Wraps will relieve your pain, swelling and inflammation quickly. In order to heal your injury, you need a BFST Wrap.